"Alan, the speech went really well. The funny part about the thing was that my brother based the reception around star wars. He came out with this light sabar and the music from Star Wars. It seemed like there was a lot of Star Wars fans there. Just wanted to say thanks and that I will be talking to you soon. Thanks again." "Just would like to thank you so much for your help...it was a fabulous night! the food, the place, my presentation ...my husband was totally surprised at his 40th birthday party by the pictures and the text that came along with them! I love the comparisons you have made in relation to different events which are currently happening in today's world! This was awesome!!!!" "Thank you very much. I got great feedback after I read the eulogy at the funeral service. You helped me a lot ! Your service was excellent. Thank you for staying up late to finish the eulogy so quickly in such a short time frame. If I know of anyone that needs writing help I will refer them to you." "The speech went over really, really well. You have great writing skills ! Thank you for your professionalism and patience." "It went absolutely perfect, and I received many kudos on my speech. Thanks again for your help!." "Thanks for everything, the wedding speech is amazing, we would have never been able to come up with something so good. Thanks also for getting the speech to us so quickly." "The poem was a hit and people laughed throughout. Thanks so much for calming my nerves. I really appreciate all the effort that you put into this on such short notice! " 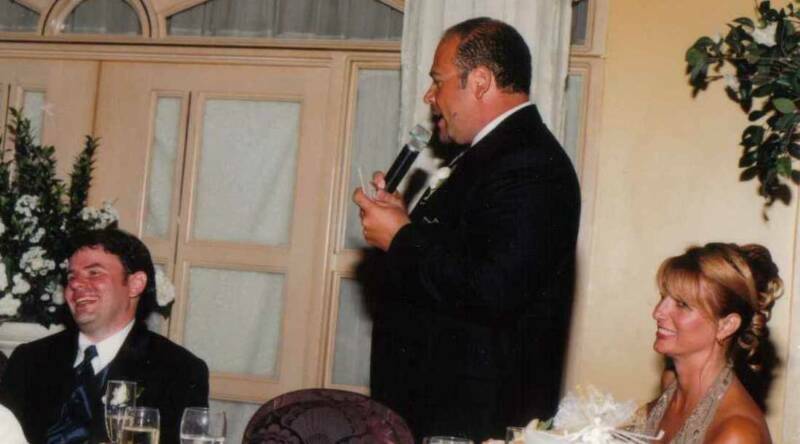 "The speech for my parent's 50th wedding anniversary was a hit. Everyone thought "I" did a great job!!!!! Everything went fine and the speech was great. There were some tears and the feedback I got was positive." "It's great. No revisions needed. I am very pleased. Thank you so much." "WOW ... what an amazing speech! There is NO way I would have been able to write something that eloquent and heartfelt with everything else I have to do--or possibly EVER! It even SOUNDS like me! I would have obsessed about this with time I don't have, and it would have never been this good! Your attention to detail made me feel like my speech was as important to you as it was to me. Thank you again.....you have NO idea the worry you have relieved me of!" periodically. My (your) speech went over very well with applause several times. My wife said my delivery was much better "live" than during the practice sessions at home. Many thanks for your considerable help and attention." "WOW - I Love this!!!!!!!! Thank you very much!!!!! I am extremely pleased. You have put a lot of effort into this speech. Thank you for putting my mind at ease." "Besides the speech being absolutely perfect, I appreciated the quick feedback and constant contact via e-mail. I never once worried about being short on time. The speech was very well written and was also well received! Thank you!!" "The wedding was wonderful and my speech was very nice. I truly appreciate your service and how kind and cooperative you've been in understanding my situation. You truly have been a pleasure to deal with and I will certainly use your services in the future and pass along your name." "It's perfect. Thank you for the wonderful speech, your courtesy and timeliness." "Just want to thank you personally for the fine eulogy you did for me l There were 450 people at the funeral and to my delight I was applauded --and in the church too. I did change your speech a bit to fit my personality. Thanks again you sound like a very sincere person . Good luck with your business"
"Hi Alan, this is fantastic!! It will be a little long, but I will go thru and scale down after I practice and see how long exactly it will take. You have been great through all of this. I will certainly keep you in mind for future and refer you to others as well. Thanks again." "Everything went very well with the speech. I appreciate the time that you spent on your well written creation and hope that I can use you again in the future. Hope you have a very special holiday this month, and look forward to speaking with you again on the next project." "Thank you very much, I feel very emotional as you have captured the essence of our relationship. I didn't feel like a customer, the personal touches were appreciated, as I was stressed out and made to feel relaxed, and cared for.the speech was wonderful and went down a treat." "The wedding was a success and an unforgettable day. We could have felt the love all over the room. The speech was greatly appreciated by the newly weds and our guests. Especially the paragraph when U2's songs are mentioned through the sentences. Many came to us to let us know that our speech reflected our feelings. Alan you really did a good job. We're keeping your number in our files, for the next weddings... (We have 2 other children to marry a daughter and a son) or for any other special occasion. Thank you again"
"Many thanks for your first draft. It's good stuff, and great material, and it has fired my creative juices. I am sure you will be pleased to know that it is because of your first draft that I am now a hundred times further on in my speech than I was before!" "There wasn't a dry eye in the church, including mine. What you wrote was brilliant! Thank you for all your help on such short notice. I look forward to working with you again." "I would like to say that this first draft looks great. I look forward to using your help in the future. Thank you and have a great summer!" "Alan, the speech went very well. Thanks so much and sorry for all the headaches. I will be using you in the near future (brother and brother in law are getting married soon) so I will be talking to you again. Thanks once again." "I thought the speech was very well done. My wife thought some of it was very funny (for ex. Jennifer Lopez). I especially liked some of the closing remarks. I would not hesitate to use your service again in the future. Again, thanks for your assistance." "Everything went beautifully on Friday. All in all it was great, we had a good party, the weather held and I wasn't too nervous. Thanks for all your help with the speech...it made the day much more relaxing for me." "I love your work. Your thoughts are very touching, and I'm sure she will appreciate them. Thank you so much! " "Its alright, I like it the way it is. I'm just going to eliminate a few adjectives a wouldn't normally use so its sounds more like my words. Thank you SO MUCH for such eloquent writing. I really appreciate your help in my time of need." "The poem is really good. Thank you. Just got to gather enough nerves to read it now!!!" "Excellent. I will take it from there. Truly appreciate your assistance." "This is perfect. You have done a very good job for me. Anything that needs to be added, I can do it. I appreciate your hard work." "The speech was great, actually better than great, you did a wonderful job. I truly got my money's worth. Thank you." "I received the speech and think it was very creative and just the right humor and sensitivity. Thanks for your help." "Fantastic. Thanks for your help on this." "Thank you very much. It's excellent. Once again you are a life saver! Keep up the excellent work !!" "Overall I like the speech very much. Thank you for your help!" "I am very happy with the speech that you wrote for me for my brother's wedding. If I ever need a speech in the future I'll be in touch." "I like this version a great deal. Thanks a million!" "This looks very good, I appreciate the effort that you have put forth again. Thanks again!" We are proud of the strong working relationships we've built with our clients over the last few years. Our ability to understand the needs of our clients, combined with our creativity and attention to detail, has allowed us to write well-received speeches and poems for our diverse and appreciative customers from across the globe.